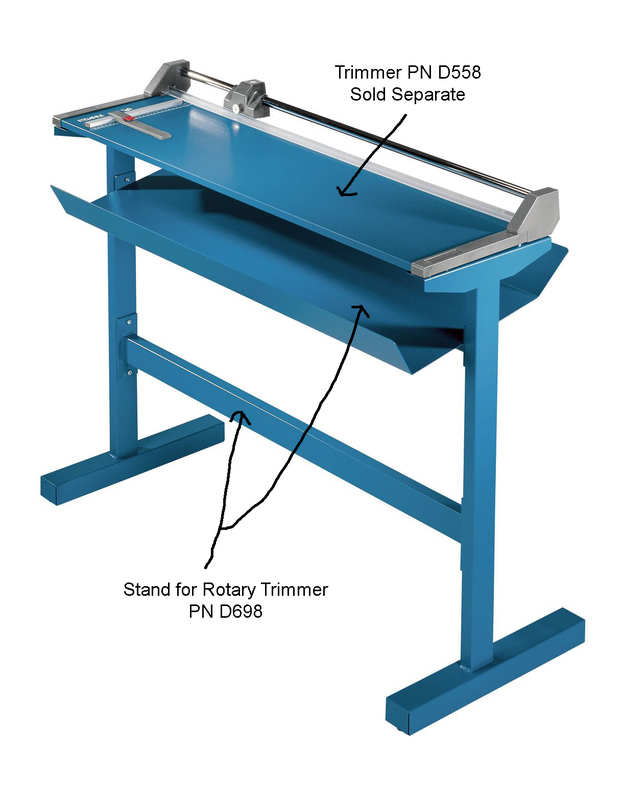 This is the stand for the "51 Professional Rotary Paper Trimmer", part number D558. The stand is very sturdy, matching attractive color and secured using supplied hardware. Shipping Weight: 72.000 lbs.